« ESP8266 Reboot Cycled Caused by Flash Memory Corruption — Fixed! As a kid I was fascinated by the Crystal Radio — the simplest radio that requires no battery or power source. Learning about crystal radio is what got me into electronics in the first place. There are plenty of tutorials you can find online about how to build your own. In this blog post I describe a basic version of the crystal radio, and a couple of simple extensions using modern techniques to improve its quality (although these extended versions all require battery). I won’t talk much about the principles, but instead will focus on making it easily reproducible and a fun weekend project. The basic version of crystal radio that I learned as a kid consists of just 7 components as shown below. In fact, the resistor R is optional, making it only 6 components. There is an inductor L, variable capacitor C, diode D, high-impedance earphone (you can use a piezo disc), and antenna and ground. The amazing thing about this circuit is that it has no battery or power source, as the radio signal directly drives the earphone. Earphone: you have to use a high-impedance earphone — the typical earbud has very low impedance (less than 32 ohm), which is too heavy a load to drive with direct radio signals. The easiest solution is to use a piezo disc, which has very high impedance and is very cheap. You can then use a thick paper (or better, 3D printing!) to make a cone cover so that you can easily insert it into your ear. Diode D: use a diode with small forward drop voltage. The classic choice is a Germanium diode, such as 1N34A or 1N60. However, Germanium diodes are difficult to source these days. So if you can’t find a Germanium diode, a small Schottky diode like the common 1N5817 would also work. Again, the point is to use a diode with the smallest forward drop voltage possible. 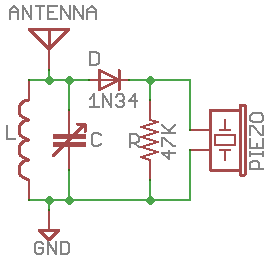 Antenna and Ground: a good antenna is critical for crystal radio. The antenna should be set up outdoors if possible. I implemented mine using a long single stranded wire and ran it around the perimeter of my porch. It worked quite well. 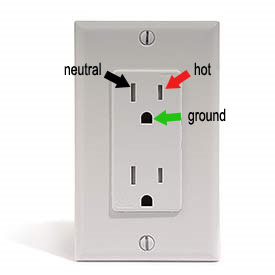 As for ground, I just inserted a wire into the ground hole of a 3-prong wall socket. Be careful: make sure it stays reliably in the ground hole. If the wire touches the hot socket, it will be extremely dangerous! Tuning Circuit: inductor L and variable capacitor C form the tuning circuit. These are pretty easy to find in an old radio or a DIY radio kit (as shown in the picture above). A lot of the inductor coils you can find have both a primary coil and secondary coil. You can use just the primary coil, or connect the primary and secondary in series. Similarly, a lot of the variable capacitors have two sections. You can use either section, but to help increase the frequency range of reception, you can connect the two sections in parallel. The best time to try the crystal radio is probably at night, when there is less electro-magnetic interference in the air and the ambient noise is low. Slowly turn the dial on the variable capacitor and listen carefully. If there is a strong local AM station, you should be able to hear it. If you can’t hear anything, don’t worry, read on and you can find how to use a simple audio amplifier module to help you hear weak channels. This time the antenna and ground wires are gone, so the circuit becomes portable. To hear the sound through a speaker, you can again use the LM386 audio amplifier. 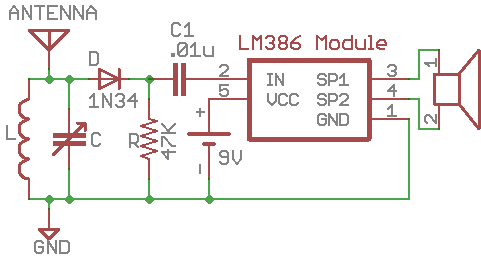 Because LM386 requires at least 5V, it won’t work with a single AA battery. But it’s common to use a 9V battery to power the whole circuit, and two diodes in series to create the 1.5V operating voltage that TA7642 needs. 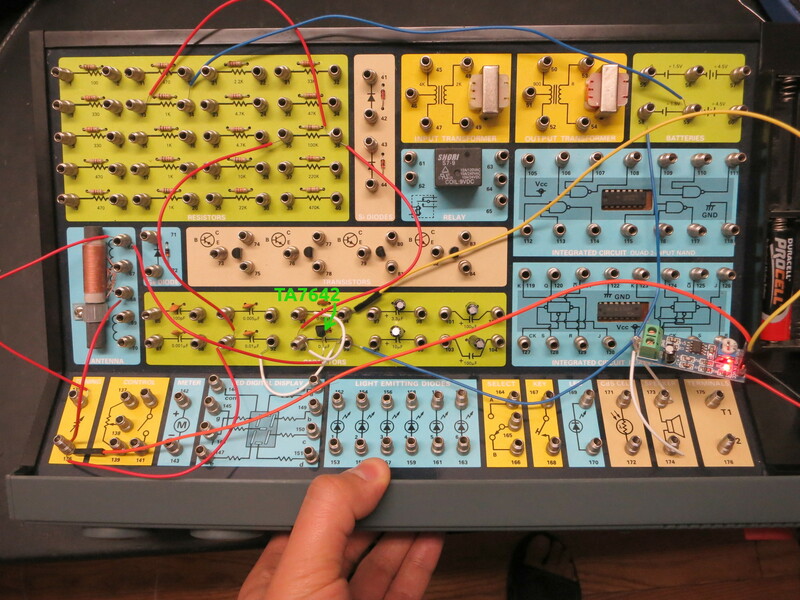 I implemented the circuit using an electronic experiment kit, which has most of the components I needed. I can easily make a custom PCB to fit everything in a small enclosure. At night I can hear about 3 to 4 stations. Cool! 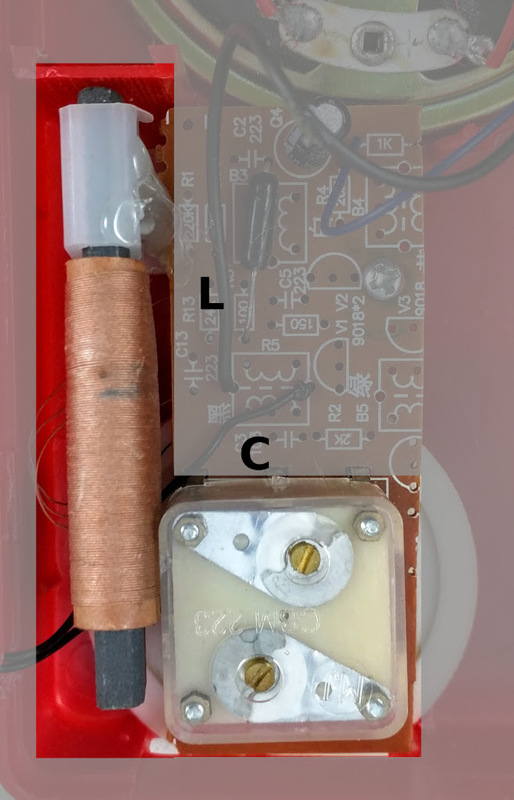 DIY Radio Kit: so after I built the circuit, I discovered that Elenco sells a $15 DIY Radio Kit that is essentially the same circuit as I learned above (i.e. TA7642 + LM386). So if you want a kit that includes all the components, this is a very decently priced kit to buy. Along my search, I also found some DIY Radio Kits from Taobao, like this six-transistor radio, and seven-transistor radio. 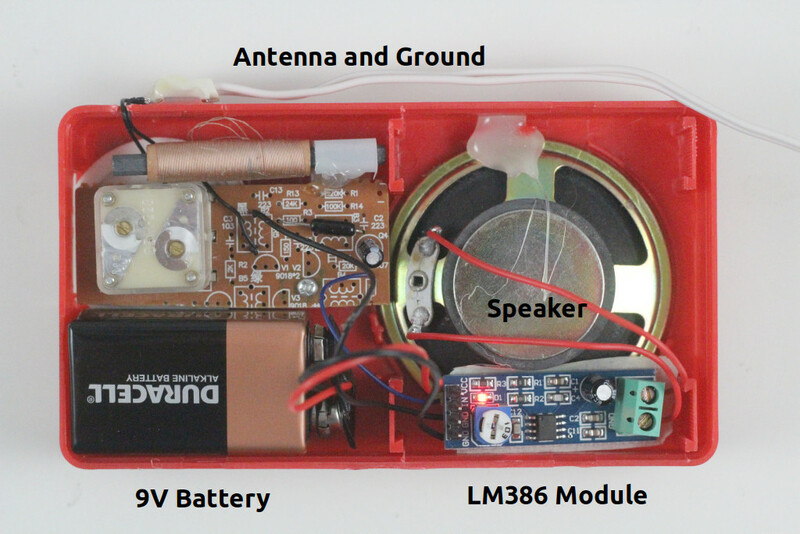 For less than $2, these kits include PCB, all components, speaker, and even an enclosure! What a crazy price! It was a lot of fun to re-live my childhood passion by learning to build the crystal radio again, with some modern touches. The experiments above are quite easy to reproduce, and hopefully they provide inspirations for you to try them out as well. prev: « ESP8266 Reboot Cycled Caused by Flash Memory Corruption — Fixed! i would like to know the value of the inductor? and if i can make it or should buy? It’s best to use a coil taken from an old radio circuit, or you can wind your own coil. 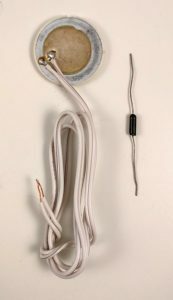 If you search for ‘DIY crystal radio’ you will find plenty of tutorials on how to make the coil.